We've sent you a confirmation email with a link to this page. Check your Junk email folder in case. Please let us know you're joining us here. Bookmark this page to come back any time. Watch the Portuguese Guitar and Vocal video on Youtube. Download the Spanish video from Vimeo. Video Download - German Lyrics Video for Jesus Soll Herr - Use the download link under the video. 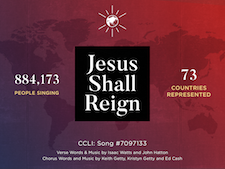 Video Download - Spanish Lyrics Video for Jesus Shall Reign is available (53MB MP4) - Use the download link under the video. Lyrics Video Download - from Vimeo - Use the download link under the video. 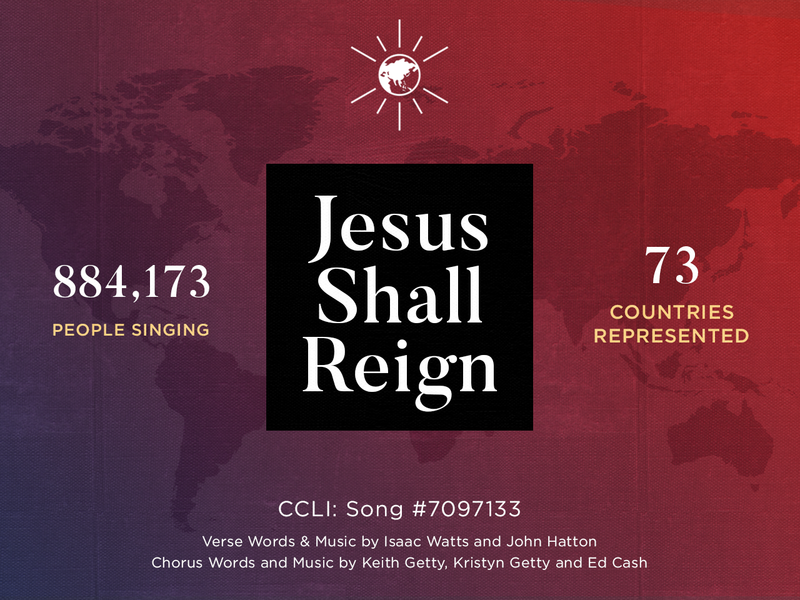 Other resources are development, please email globalhymnsing@gettymusic.com if you have a language request or need assistance.